Just a few years out of culinary school, Duff quit his day job and launched a custom cake business out of his one-bedroom apartment in Baltimore, Maryland. Duff and his team at Charm City Cakes pushed the limits of cake decorating, sculpting a dazzling array of awe-inspiring works from life-sized elephants to race car replicas. The wild creations and off-beat company culture soon became the subject of the hit Food Network show, Ace of Cakes, inspiring an entire generation to roll up their sleeves and decorate. Pursuing his passion for inspiring creativity in others, Duff founded the first ever do-it-yourself cake and cupcake decorating studio in Los Angeles. 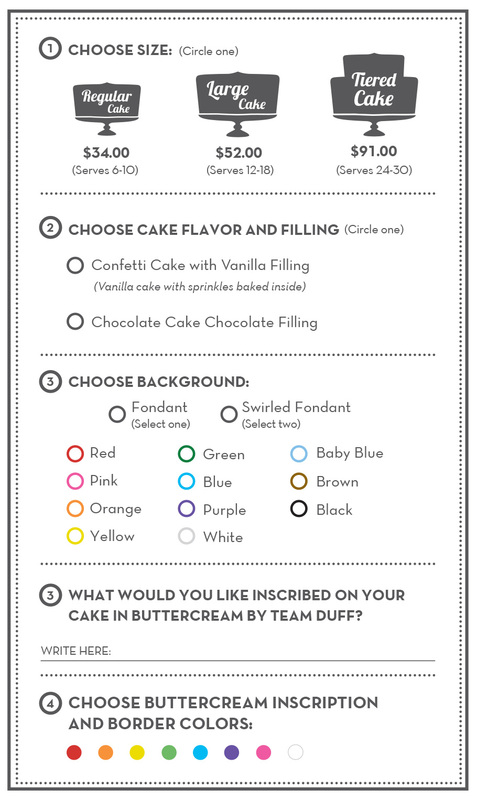 At Duff’s Cakemix, we believe there are artists in all of us and that cake decorating is an act of love, especially when done with or for others. The world wants to create, the world needs to create, and more than anything, the world needs cake. We’re here to help. Creativity, community and joy through cake decorating! South Bay - Summer 2019! Copyright 2019 Duff's Cakemix. all rights reserved.